Once a week, we look through the most popular playlists on Spotify for all distributed tracks. 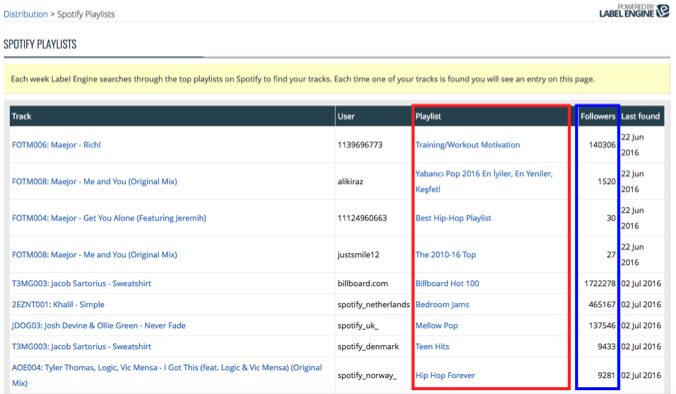 Being featured within a Spotify or tastemaker generated playlist can be a huge boost to the total plays and popularity of the track in the platform. Notifications are displayed when you login, within the ‘Spotify’ section for each release and within ‘Spotify Playlists’ under the ‘Distribution’ tab. We encourage you to share any information found with your artists so they can share! Label Engine now tracks Spotify’s top 200 and viral 50 charts everyday in all countries for all distributed tracks. As with the chart tracking for other stores (Beatport / Juno etc), notifications are displayed when you login, within the ‘Charts’ section for each release and within ‘Chart Tracking’ under the ‘Distribution’ tab. Clients can view a list of charts with the ranking of release on each chart as well as the amount of times each release has held its ranking. Similar to our import from Beatport tool, clients can now import releases directly from Spotify. Releases need to be edited afterwards and full .wav files and hi-res artwork must be uploaded before they can be distributed. This feature can be accessed in the ‘Releases’ section by clicking on the ‘Import Releases’ option at the top of the page. 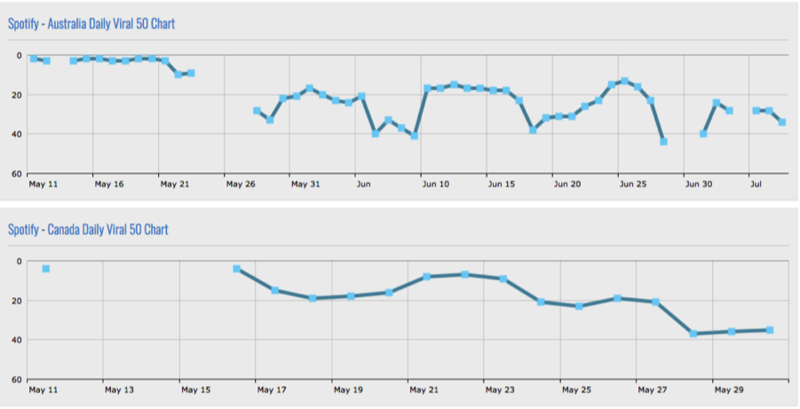 We’ve added chart tracking, Spotify and store links to our shareable release stats pages. At the bottom of the sales, charts and spotify pages a shareable link provided – this link will allow anyone without a Label Engine account to full release stats in a clear and simplified format.